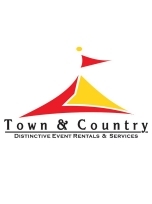 Town & Country Event Rentals provides Los Angeles & Southern California with the latest designs in event and party rentals. 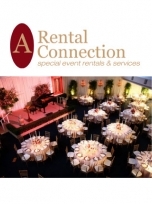 Offering tenting, furniture, tables, chairs, dishware, catering equipment, and much, much more! Visit one of our three locations in Van Nuys, Pasadena, and Santa Barbara to experience the Town and Country difference! We pride ourselves in finding those sweet details and seeing beauty in rust! We love the notion that we are re-purposing items that would often be discarded or left to collect dust in an attic, by displaying them in a fashion that will add that personal and unique touch to your wedding or event! 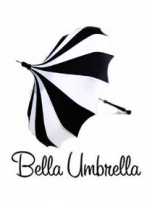 BELLA UMBRELLA offers a truly unique rental umbrella service. We have the largest selection of vintage umbrellas to rent for any occasion. Whether you are a bride, party planner, prop stylist or wedding coordinator, we have something for you. The majority of our umbrellas and parasols were made in the 1930s, 1940s and the 1950s covering the Art Deco, Hollywood glamour and sixties mod periods. 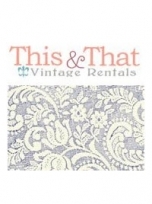 Found Vintage Rentals is a vintage prop supplier and event rental company serving southern California. Well-loved vintage pieces reveal where they have been. Suitcases with destination stickers, crates with original markings, and textiles with hand-sewn initials bely their former lives. Reimagined masterpieces like couches freshly upholstered in European homespun fabric marry the old and new. 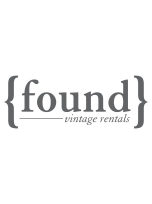 Each piece in the Found Vintage Rentals collection is hand-picked for its charm and history.